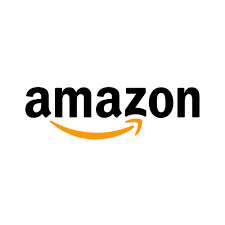 Over the past 5 years, co-founder Dave Reeb and Brian Le Gette have launched dozens of products, including iPhone and iPad accessories sold in Apple stores worldwide, and now they are excited to launch their most important product line yet. 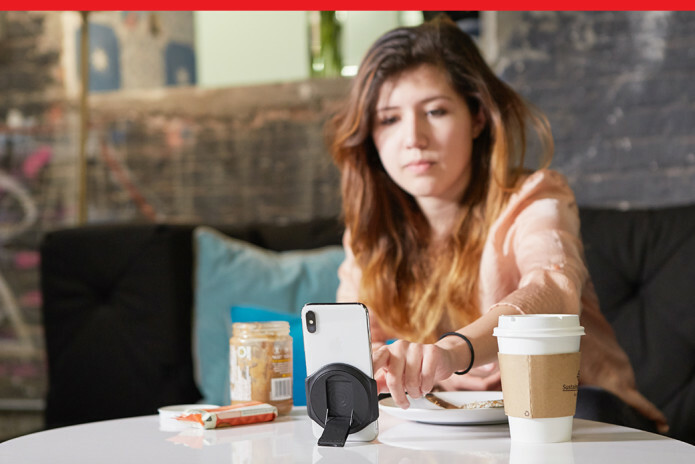 Designed to fit most popular smartphones (like iPhone, Galaxy S, Pixel, and others), Halo Effect reinvents your day from wake to sleep, using a series of mounts that allow you to be a better you. Whether you are an athlete, a parent, a student, an executive, a driver, an artist, or all of the above, this kit will empower your day. 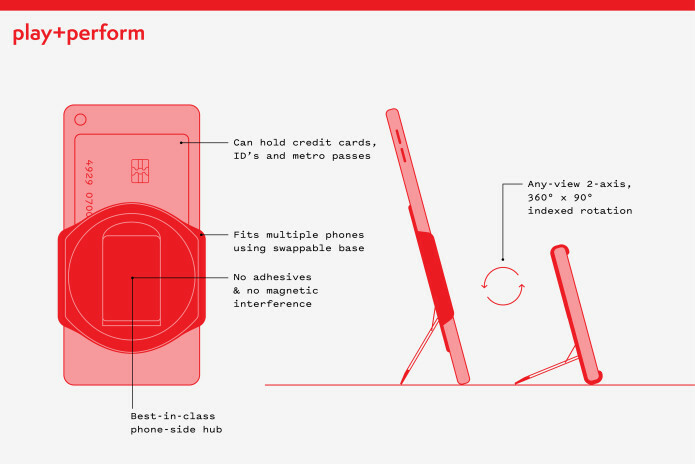 Do you use a case for protection or style, or do you prefer to keep it thin and light? No worries. You can do both, or either, and even change your mind later. Three of the bases that come with your kit were designed to work with cases up with 2.5 mm in thickness. For example, if you have an Apple iPhone 7 with a leather Apple case, you will simply switch from the #3 base to the #4 base. 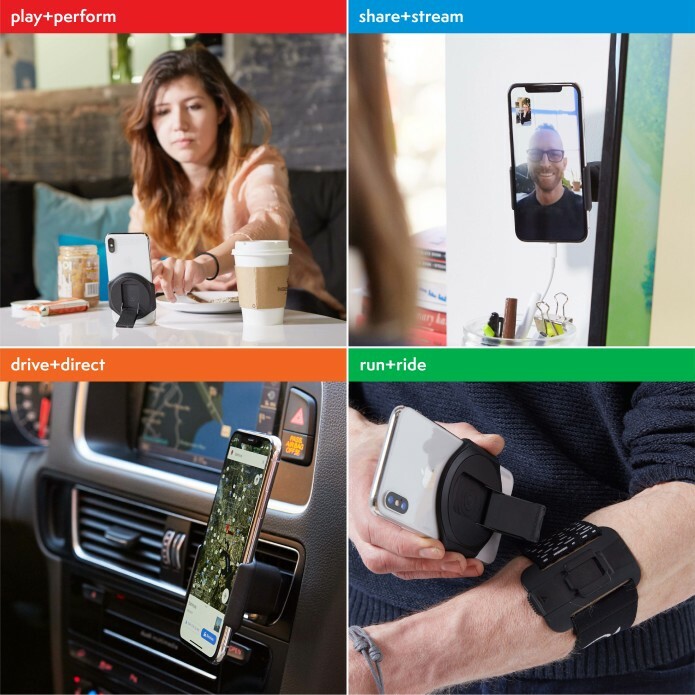 The bottom line: no smartphone mount system has ever had any three of these capabilities packaged together, and solutions that try to meet even half the functions of Halo Effect cost more. The Play-Perform mount is the integral hub of the kit. 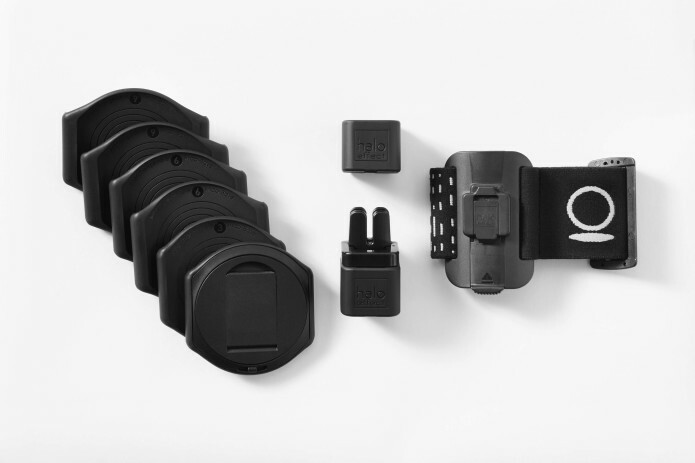 Halo Effect’s all-in-one kit provides mounts with four unique and fundamentally important functions—RUN+RIDE, DRIVE+DIRECT, PLAY+PERFORM, SHARE+STREAM. 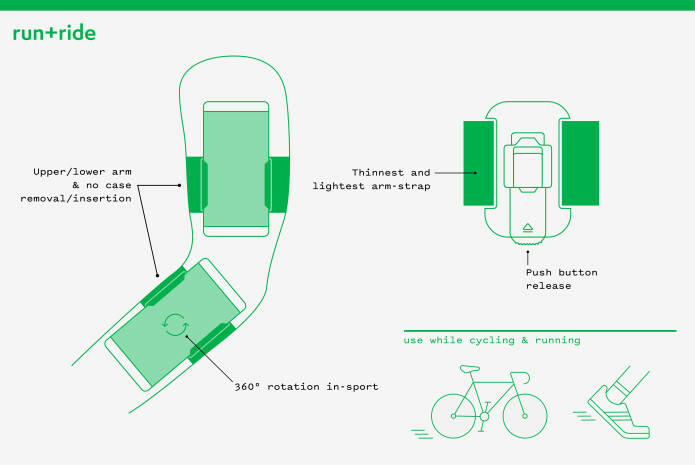 Run+Ride — lightest & smallest, rotates 7 snaps-on/off upper & lower arm. 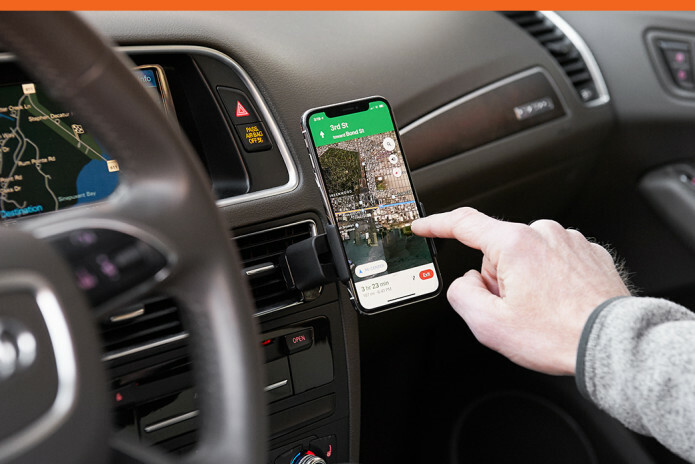 Drive+Direct — secure, any-view, ultra-portable, any-view car vent mount. Play+Perform — most functional any-view,table-top, counter, and desk stand. Thanks to Halo Effect’s smart design, switching between each mode is seamless: just slide and clip when you’re on to your next activity. Get the best view of your screen with this freestanding mount. Watch your favorite videos on the go, angled for the best visibility. 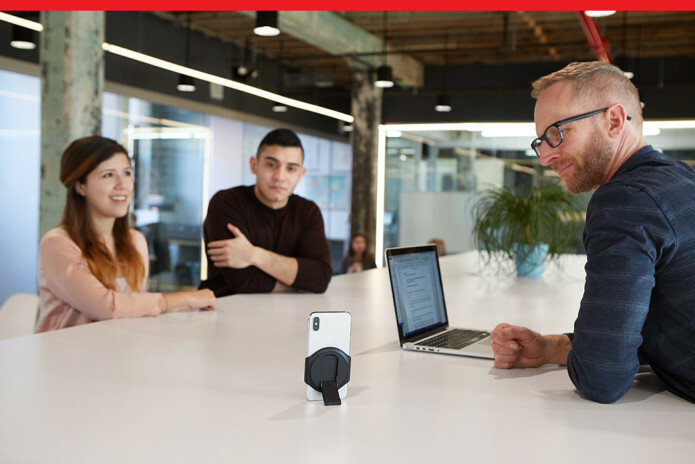 Best-in-class for video conferencing and FaceTime. 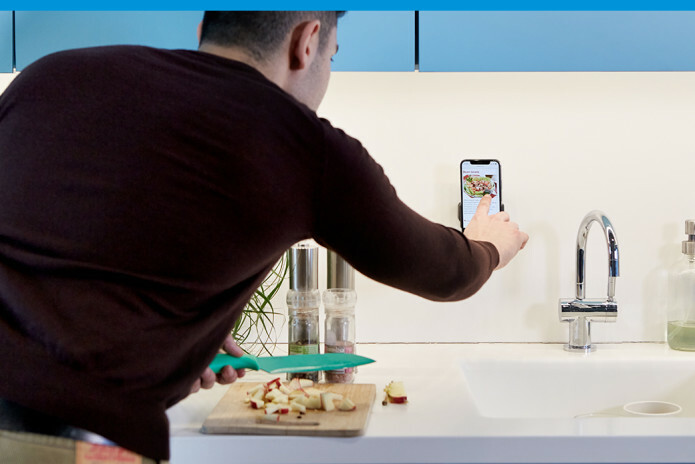 Unlike other phone-side mount components, this feature actually doessomething—something pretty amazing. 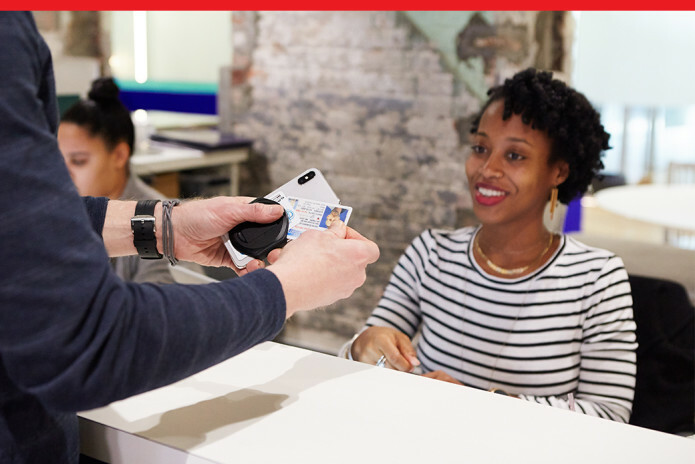 It’s great for watching a video on the go, sharing a presentation, and even holding your credit card and ID. 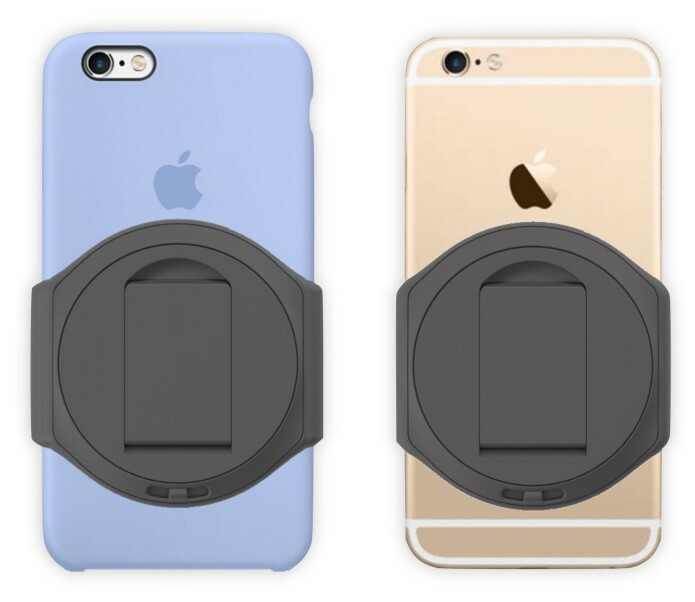 Plus, it has swappable bases, enabling it to mount to numerous phones (and phone sizes) with or without a case. 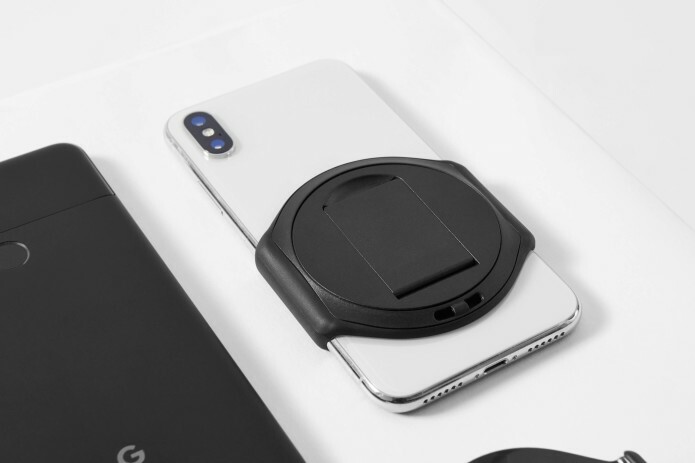 It includes the most functional kickstand ever created, with a 360° indexed rotation, a 90° infinite-angle arm, and can easily be swapped to another phone—no magnets or adhesives required. The only mount you’ll need for running, cycling and fitness. 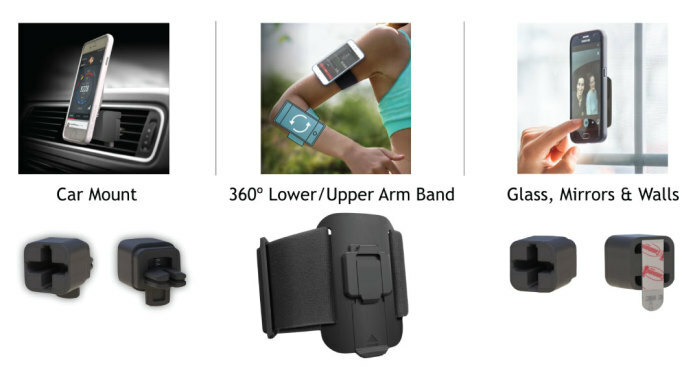 Easy in-workout screen view and access, with no messy sleeves, with 360 rotation. Place it on your lower arm for the perfect cycling position. 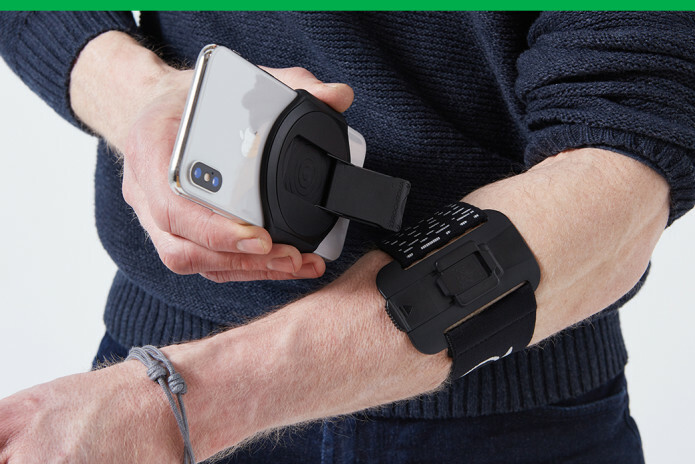 Clips easily and securely on a washable/breathable arm band. 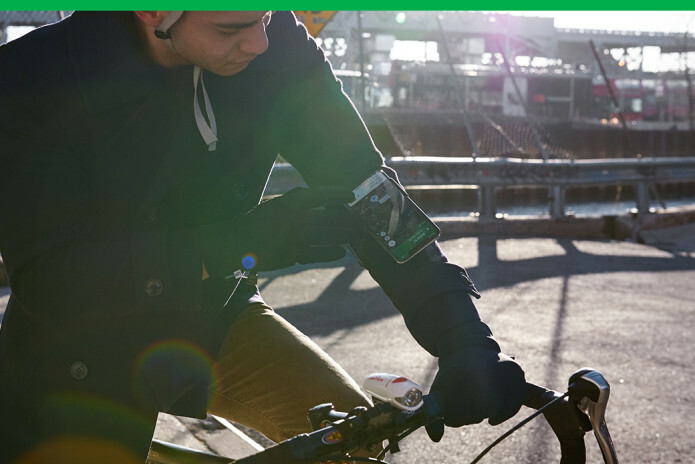 Perfect for fitness and other outdoor activities, the RUN+RIDE mode snap-connects your smartphone to your upper or lower arm for your morning run, bike trip, or evening workout. The minimalist designand breathable 4-way stretch fabric is also perfect for keeping you cool when it’s hot. 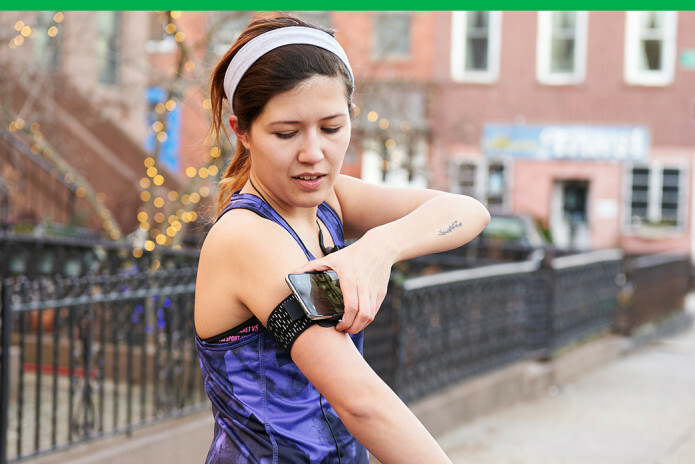 Plus, the indexed 360º rotating mode allows you to quickly check your run route with a twist, and raises your device off your arm—so you can wear it on your upper or lower arm, giving you full mobility for activities like push-ups. 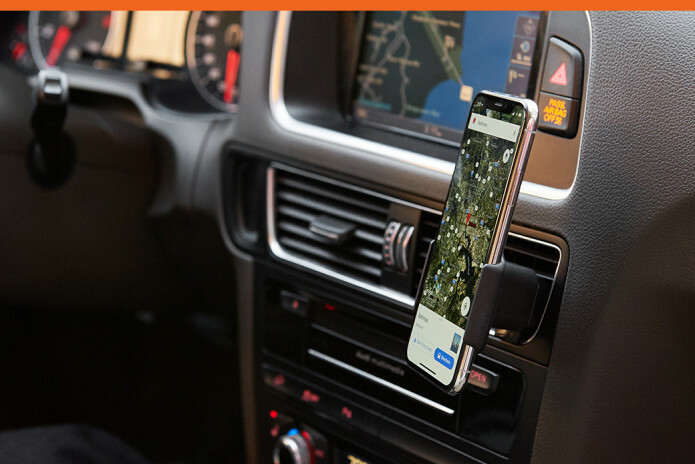 Never lose your way with your smartphone right on your dashboard. Easy access to your GPS while on the road. 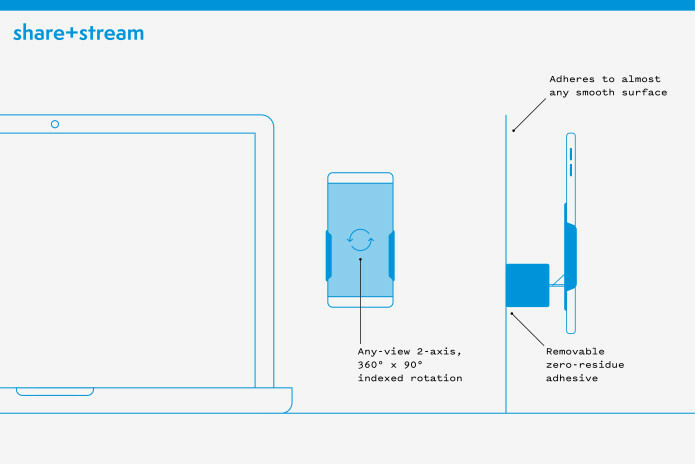 It won’t block vent airflow, keeping your phone from overheating. The perfect driving companion—navigate, answer calls handsfree, or watch a video in the passenger seat. 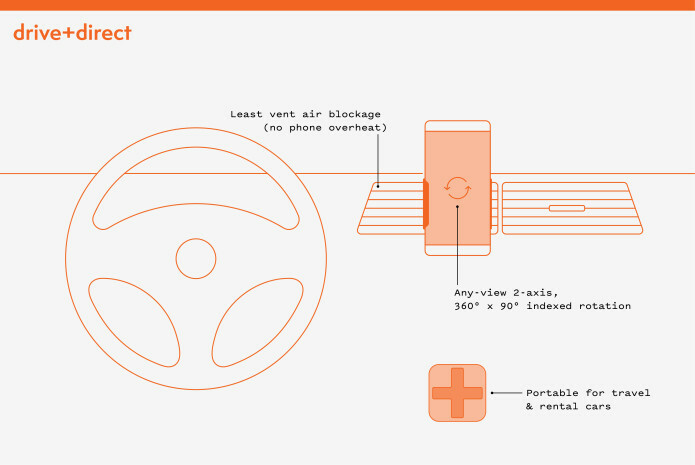 This mode easily slides into your car’s vent, without blocking airflow or allowing hot vent air to overheat your device. With two insertion modes and 360° x 90° indexed rotation, this mode enables any desired angle and view. The handsfree mount is great for your work or daily routine. Quickly check a recipe in the kitchen. Hop on a video call handsfree. Incorporate your smartphone into your morning routine. This simple, powerful mount adheres to almost any smooth surface—tile, glass, painted surfaces, mirrors, screens, and more—using a Command™ Strip adhesive. It leaves no residue when removed, and can be easily replaced to reposition the mount somewhere else if you change your mind (we even provide a free second strip just in case). 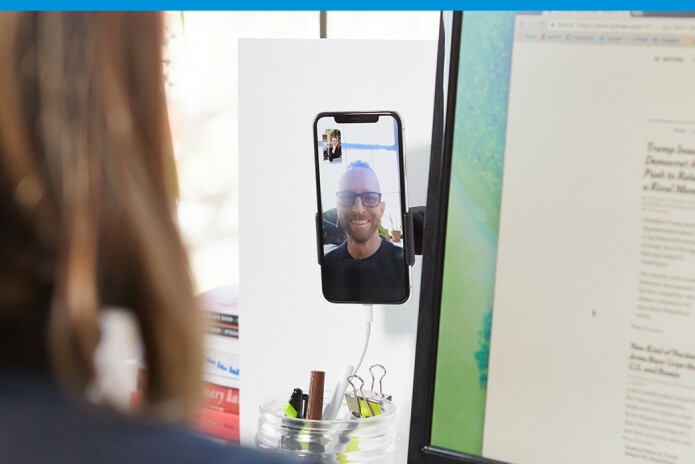 Perfect for dual-screen video conferencing, keeping your phone away from kids’ sticky fingers, checking recipes while cooking, and more. Have a case? Swap the base. For the phones listed above, if you want to use a case, you can simply swap the base to fit whatever thin-walled case you like (with case wall thickness less than a 2.5mm ) – like the Apple case on an iPhone shown below. 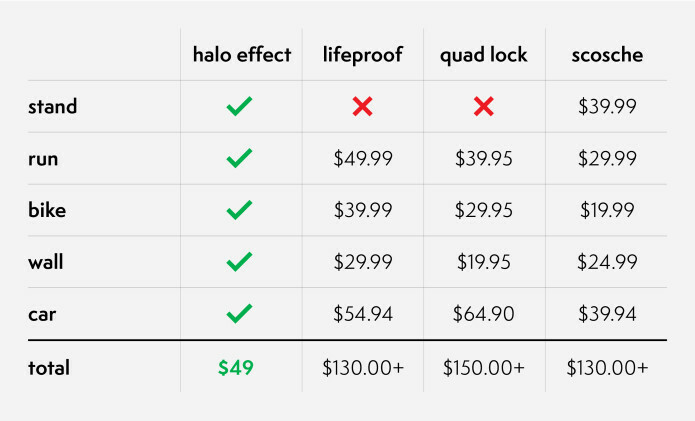 Halo Effect is roughly 1/3 the cost! This is was the most all-encompassing project yet, and their team has been working on it for well over a year. That may sound like a long time — maybe it is — but it went by fast. 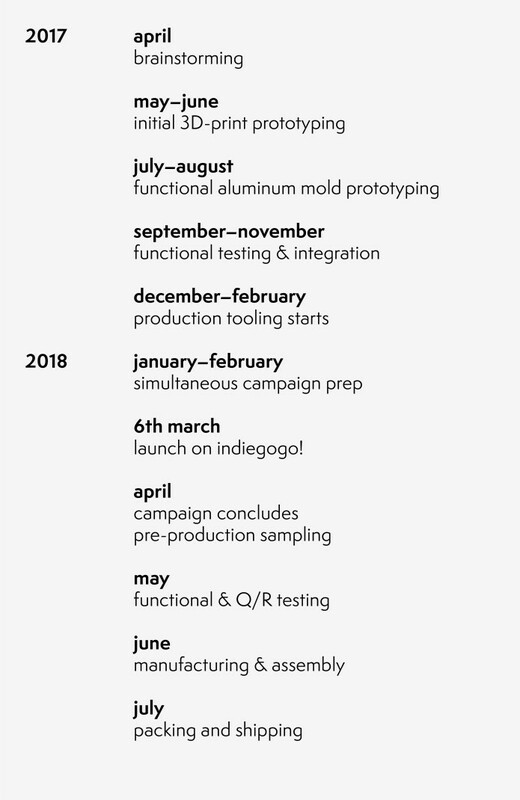 They had some false-starts, made dozens of unique prototypes, yelled at the sky a few times, and spent lots of hours in the lab and in the field testing and refining. They grabbed some of the best ideas from their ZeroChroma roots (and the very capable brain of Brian’s business partner Dave), tweaked and optimized each one, and then combined them in a way that will transform your day. Even though it took plenty of roll-up-your-sleeves ingenuity, and hard work, They feel lucky to have had such a simple, seamless solution fall into place. Although Brian and Dave have had the good fortune to work together on a few award-winning one-of-kind products, this kit was the most fun in recent memory. They hope your process of discovery matches theirs. The process designing Halo Effect. Dave and Brian are so thankful to each and every member of their team (both past and present) with a special thanks to Jeremy Carpenter, Teri Chrissomallis, Michele Dierking, Laura Siciliano, Steven Wright, Patrick Francisco, Nathan Li, Mike Woods and Hugh Smallwood. With over 20 years of manufacturing and supply chain experience in Asia, Europe, Mexico and the U.S., they are picky and demanding. Their manufacturing partners GPA Global out of Shenzhen and UTS in Taipei City are simply the best. They make the complex look simple, and they do it on time and on spec.